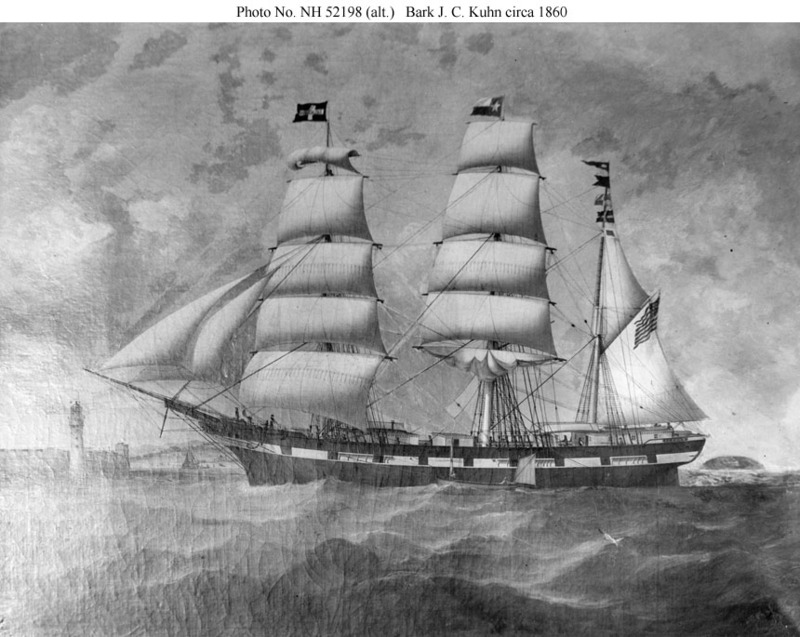 A probable copy of the painting of the ship off Liverpool, England, in 1860 by Duncan McFarlane. She is flying the house flag of J. H. Brower & Co. of New York. The original painting may be viewed in color at www.vallejogallery.com. Source: Naval History and Heritage Command. 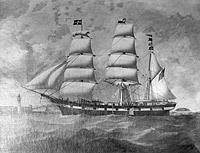 A probable different copy of the painting of the ship off Liverpool, England, in 1860 by Duncan McFarlane. 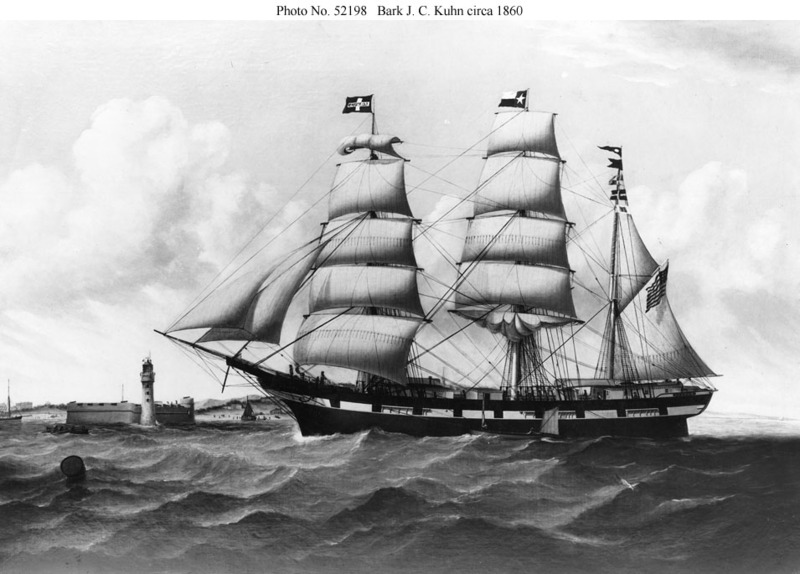 She is flying the house flag of J. H. Brower & Co. of New York.